Posted a few years back on an earlier website. 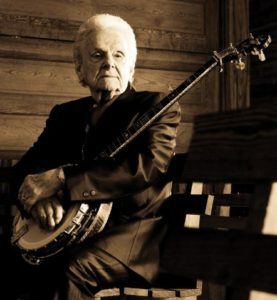 Dr. Ralph Stanley (1927-2016) was, for several years, an annual visitor at Bill’s Pickin’ Parlor just up the street from our house, and I heard him play there twice. Great show! I know many of my readers probably have Oh Death on their iPods and like to listen to it as they drift off to sleep at night, but if you don’t know it, you can find it on YouTube easily. It will put you in a good mood. Death is one of life’s greatest mysteries and adventures. Over the years I have lost quite a few friends and acquaintances and relatives to death. As far as I know, they all had at least one thing in common. They all had health insurance. Talk of life and death keeps coming up in discussions of health care reform. There seems to be some belief that life expectancy should be proportional to health care expenditures. That leads some to argue that since US life expectancy is not much different from life expectancy in countries that spend much less on health care, we obviously are spending way too much. And there are those “death panels” that keep showing up in the conversation. Depending on one’s viewpoint, they will either deny lifesaving care once we are too old to be useful or prevent agonizing, useless, and expensive artificial extension of life. Certainly, doctors often prolong life by performing life-saving surgeries and other treatments and prescribing life-saving drugs, and we should be very thankful for that. But most of us never have to have life-saving medical procedures, and I don’t believe that most routine health care extends life significantly. It may reduce anxiety and make life more pleasant, or it might even increase anxiety and make life less pleasant in some cases. But life expectancy is largely a function of life style, genetics, and sanitation. Live clean, eat healthy food, exercise regularly, get plenty of rest, avoid stress, guns, automobiles, and bicycles, get your shots, and choose your parents wisely that your days may be long. I think the main reason we spend so much on health care and are so focused on federal involvement in health care now in the US is that we have come to value security and safety and personal rights above almost everything else and certainly above freedom and personal responsibility. We are doing our best to eliminate all risk in the hope of…something. When I think about growing up without a bike helmet or seat belts and with Venetian blind cords dangling everywhere and with freedom to roam alone or with friends through much of my small home town or to ride in the back of my dad’s furniture truck (for which he might be arrested today) and even to drink tap water or to go out to play and risk dehydration without a water bottle in hand, it amazes me to see how much we have changed in fifty years. You may not believe it, but we didn’t even have an alarm system at our house. To avoid risk to our health we get annual physicals and regular colonoscopies and mammograms and PSA tests and EKG’s and CT Scans for minor bumps on the head although sometimes, especially in the case of mammograms and PSA screening, anxiety and cost-incurring false positives are about as likely as true negatives. Of course such screening drives up health care costs because the costs of such procedures are set at government or other insurer established reimbursement rates unaffected by volume or competition. We buy more MP3 players or computers or flat screen TV’s and the cost comes down due to economies of scale and competition. Get more CT Scans and the cost just keeps rocking along at the same old reimbursement rate. And, the clear message to health care providers is this: If you want more income, do more procedures. That message is consistent with and reinforces the other more subliminal message: If you want to avoid a malpractice suit, test for everything. It’s easy for me to imagine two possible health care systems in which costs would be continuously driven down. One would be based on competition and market principles and the other would be based on total government control and rationing. The middle system, government meddling and bill paying without rationing, is a sure route to escalating costs. Medicare experience proves it. I believe the market-based solution would result in better and happier health care providers and healthier patients, but I don’t believe either would result in any meaningful increase in life expectancy. Rationing might cause a small decrease. Life is terminal, and the death rate is close to 100%. There is an alternate view, that physical death is conquerable. That seems to be supported by this interesting list from the CDC of the 15 leading causes of death in the United States in 2006. According to CDC, these fifteen account for 81.5% of all deaths that year. It looks like all fifteen should be conquerable. “Old Age” is not even listed. Maybe it is #16. Here is a great obituary that any of us might envy including a cause of death that didn’t make the CDC list. So there, in the land of Moab, Moses, the servant of the Lord, died as the Lord had said; and he was buried in a valley in the land of Moab, opposite Beth-peor; to this day no one knows the place of his burial. Moses was one hundred and twenty years old when he died, yet his eyes were undimmed and his vigor unabated. The Israelites wept for Moses in the plains of Moab for thirty days, till they had completed the period of grief and mourning for Moses.